The Rector of a parish is charged by the Bishop at his licensing with the care or ‘cure’ of the souls in his or her parish. He is historically the ‘curate’. If you look at the old 1662 Prayer Book intercessions made during the Communion Service, you will notice that we pray for “all bishops and curates” with no mention of vicars or rectors. 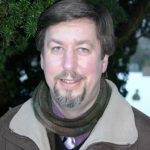 Confusingly, someone who officially assists the Rector is nowadays known as the curate, but legally they are the ‘assistant curate’ and so that is the title used here! 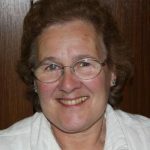 Sue first came to Snodland in September 1971 and taught in the Infant department of St Katherine’s County Primary full time until her daughter Hannah was born in 1976, and then part time until 1987 when she moved into the field of employment training with the Youth Training Scheme and later unemployed adults. 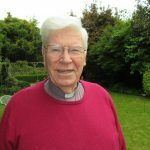 Together with a couple of friends she started the Katherine Wheel pre-school in 1983, as there were no spaces for their children to attend elsewhere in Snodland and has continue to be involved as a trustee. 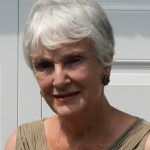 Whilst working with unemployed adults she became interested in the effects dyslexia had on learning and trained as a dyslexia specialist, which led her to work in the dyslexia unit at West Kent College, Tonbridge for the remainder of her teaching career, initially as a tutor and subsequently as manager. Her faith has always been a significant element in her life and she was confirmed at age 15. 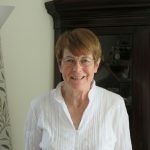 Once her children, Hannah, Ruth and Chris, were old enough to be reasonably independent, she put herself forward for Reader training and was licensed in 1991. It was towards the end of her training that the ordination of women was authorised. On the evening that this momentous decision was announced she was phoned by a colleague asking her when she was going to go forward as a priest. Several others subsequently made similar comments but it was not until 2000 that she felt ready to take this step and explore ministry further. 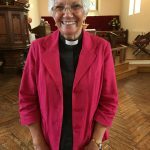 She was ordained NSM Deacon in 2003 and served as chaplain at West Kent College until she retired in 2014,while continuing to worship at Snodland. 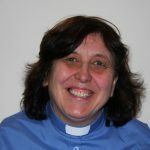 She was dual -licensed to serve as curate in Snodland in 2009 and ordained priest in 2011. Her main focus is on work with adults (e.g. running the Dementia Café and liaising with Community Payback), but she has also recently been involved with starting a Coffee Break mother and toddlers group at Holborough. Mandy grew up in a village in the fens, the youngest of six children. She does not come from a Christian family but came to faith when she attended a church school as a teenager. She was confirmed when she was 15. After leaving school, she trained as a journalist before going to university. At Leeds she completed a degree in English Literature and Philosophy and went on to do a PhD in the same field. Mandy worked as a teacher at Bishop Justus Church of England School in Bromley for nine years. It was during this time she began to explore ordination. 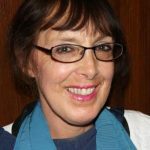 She moved to Snodland in August 2014 and was ordained deacon that September and became a priest the following year. She has three children, the youngest of whom attends Holmesdale School here in Snodland. Her main interest is in outreach; how the church relates to and shares the Gospel with the wider community it serves. Her interests are varied but she seldom misses Coronation Street or Emmerdale! 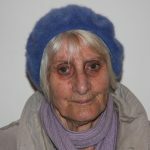 June moved to Snodland in 1986 and has lived here ever since. She became a Christian in 1984 and was authorized to be a Pastoral Assistant in 1986. She loves people and derives her strength for ministry from prayer. Her husband Alan died in 2016. She has two daughters, Caroline and Julie, who between them have given her seven grandchildren and four great-grandchildren. Her hobbies include art and gardening.